Born in Galicia in 1851, Emilia Pardo Bazán was a leading exponent of Spanish Naturalism and a key figure in 19th-century Spanish literature per se. 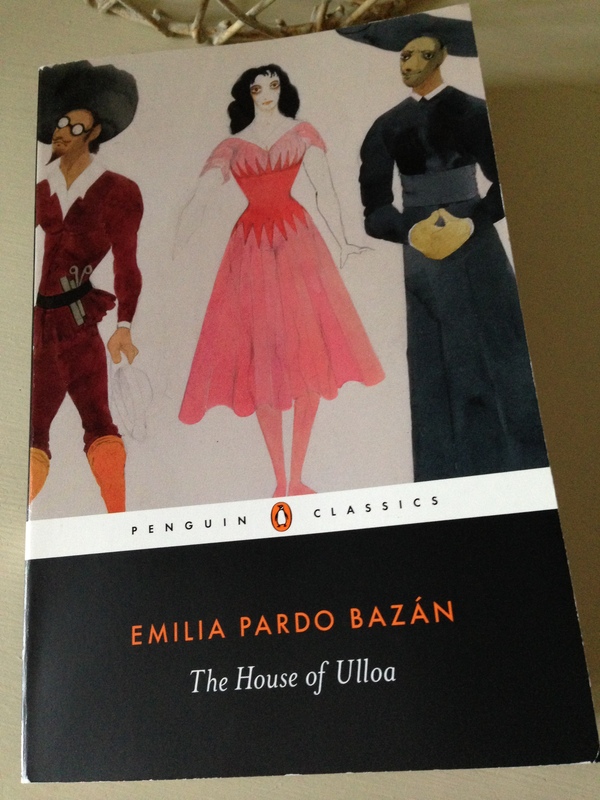 Her 1886 novel, The House of Ulloa is generally considered to be her masterpiece. My old Penguin Classics copy had been sitting on the shelves for a couple of years, but Grant’s enthusiastic reaction to the book on Twitter (following its recent inclusion in the Pocket Penguins range) prompted me to dust it off for Spanish Lit Month (now extended to August). I’m so glad I did. It’s a marvellous novel, a feisty tale of contrasting values as a virtuous Christian chaplain finds himself embroiled in the exploits of a rough and ready marquis and those of his equally lively companions. The chaplain in question is Julián, a gentle, innocent and rather sensitive young man who is sent to the House of Ulloa in the Galician countryside in the hope that he will be able to act as a positive influence on the marquis of the manor, a libertine by the name Don Pedro. From the opening pages of the novel, one can detect a palpable sense of foreboding: Julián’s journey to the House hints at trouble ahead; the manor itself is an old ruin; and as for the marquis and the company he keeps, the chaplain appears to have his work cut out. Here are Julián’s impressions at the end of his first evening, a night featuring a bawdy supper where a young toddler is virtually forced into drinking copious quantities of wine by the various men of the house. As the previous overseer of the marquis’ business papers, the abbot has left everything in an unholy mess. With this in mind, Julián’s first task is to try to introduce some much-needed order into the affairs of the manor, a task that is easier said than done, especially when he comes up against Primitivo, the commanding majordomo of the marquis’ estate. While the marquis may be lord of the manor in terms of his title and position in the family, it is Primitivo who holds all the power over the local traders and tenants. Primitivo is a marvellous character, a rather sly fox who has been stealthily abusing his position within the marquis’ inner circle to line his own pockets, bleeding his employer dry in the process. On the other hand, the empty-headed marquis is under Primitivo’s thumb, totally dependent on his gamekeeper’s knowledge and influence to manage everything. And besides, there’s Primitivo’s daughter, a shapely servant girl named Sabel, who also happens to be the mother of the marquis’ illegitimate son, Perucho. (Young Perucho is the aforementioned wine-drinking toddler.) The marquis knows that any attempts to replace Primitivo will almost certainly come to a sticky end. Horrified by the marquis’ fast and loose lifestyle, Julián finds himself in a quandary once he learns of the master’s liaison with Sabel and the details of Perucho’s parentage. As a man of the cloth, he cannot be seen to condone the marquis’ unholy actions by remaining at the manor. Then again, if he leaves, who knows what manner of bedevilment may ensue at the House of Ulloa, a place so desperately in need of an upstanding influence it hurts. As a potential solution to his dilemma, Julián convinces the master to move to the local town for a while, and a visit to the marquis’ uncle is arranged. While staying with his uncle, the marquis is persuaded of the benefits of taking a virtuous wife, so he marries his young cousin, the kind and tender-hearted Nucha. Naturally Julián is delighted – at long last the marquis seems to be on a path to a brighter future. That said, the chaplain’s next challenge is to find a way of getting Sabel and the marquis’ illegitimate child away from the House of Ulloa, another task that proves much easier said than done. When the marquis returns to the manor with his new bride, all is sweetness and light for a while, especially once the couple discover they are expecting a baby. A new, softer, more attentive side to the marquis emerges as he tends to the needs of his wife. This doesn’t last for long though, especially once the baby arrives. Julián soon becomes Nucha’s closest ally in the house, acting as her confidante and protector whenever it is acceptable to do so. Moreover, he lives in constant fear of Nucha’s discovery of the true identity of Sabel’s son. The marquis’ wife has taken quite a fancy to the boy, allowing him to play with her own baby as the two children get along so well. Before long, Julián’s faith coupled with the particular nature of his character cause him to face another theological dilemma. I could say a little more about this, but will leave it there to avoid revealing too much about the plot. The House of Ulloa is a terrific book, a hugely enjoyable story packed with marvellous characters and an abundance of juicy developments to sustain the reader’s interest throughout. Several scenes are rich in humour, but the novel’s darker undercurrent is never too far away – the gothic atmosphere of the Ulloa mansion is beautifully evoked. There are hunting expeditions, some rather boisterous banquets and plenty of quieter moments too. Some of the novel’s most touching scenes feature the rather sheltered Julián as he tries his best to take care of Nucha and the youngsters in the household. Set as it is against the backdrop of Spain’s Glorious Revolution, the novel also touches on the local politics of the day, a diversion which offers Pardo Bazán plenty of scope to explore the various underhand machinations of the district’s leading movers and shakers. After all, as she notes at one point, ‘politics is a cloak for self-interest, hypocrisy and lack of principle.’ In this next passage, she describes what happens when the marquis is persuaded by Primitivo to stand for election. All in all, this book would make an excellent choice for the current Women in Translation Month, especially for readers interested in the classics. Alternatively, anyone looking for a damn good read should check it out. Highly recommended. You can read Grant’s review here. Tom has also written about this novel here and here. This entry was posted in Book Reviews, Pardo Bazán Emilia, Women in Translation and tagged #ReadWomen, #TBR20, #TranslationThurs, #WITMonth, Book Review, Classics Club, Emilia Pardo Bazán, Fiction, Lucia Graves, Paul O'Prey, Penguin Books, Penguin Classics, Women in Translation on August 23, 2016 by JacquiWine. 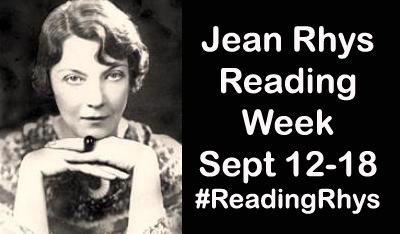 As some of you may recall, back in May I posted an announcement about the Jean Rhys Reading Week that will be taking place from Monday 12th to Sunday 18th September. In essence, it’s a week centred on reading and discussing the work of this remarkable writer. If you’re wondering who Jean Rhys is or was, she is widely considered to be one of the greatest writers of the 20th century. The daughter of a white Creole mother and a Welsh father, Rhys grew up on the Caribbean Island of Dominica, moving to England at the age of sixteen to live with an aunt. After the death of her father, she drifted into a series of jobs spending time as a chorus girl, a mannequin, and an artist’s model. Rhys led a tough and tortured life, but in many ways, those harsh experiences made her the writer she was. (Her work is now considered to have been way ahead of its time.) She started writing when the first of her three marriages broke down. You can read a little more about her here in these articles from The Guardian and The Paris Review. Eric Karl Anderson, who writes so eloquently about books at the Lonesome Reader blog, will be joining me in co-hosting the reading week. Eric is a long-standing fan of Jean Rhys, so it will be fantastic to have his input. Poppy Peacock (who writes about books at poppy peacock pens) and Margaret Reardon (another long-standing Rhys fan) will also be helping us with a couple of activities during the week. Between the four of us, we’re planning to cover pretty much all of Rhys’ work to give a broad view of her oeuvre. We’d love as many readers as possible to get involved by reading one of more of Rhys’ books (or even a relevant biography). If you have a blog, you could write a review or article about the book and post it there. Alternatively, share your thoughts on GoodReads. We’ve set up a ‘Jean Rhys Reading Week’ group on GoodReads with a discussion topic for each book, plus one on Rhys’ life – do join if you use GR. Tweet about it on Twitter using the hashtag #ReadingRhys. Add your comments to other readers’/bloggers’ reviews/posts which will be going up throughout the week. As a little incentive, we have 5 copies of the brand new Pocket Penguins edition of Good Morning, Midnight to giveaway. For a chance to win one of these prizes, please tell us what you’re planning to read for #ReadingRhys week in the comments below. 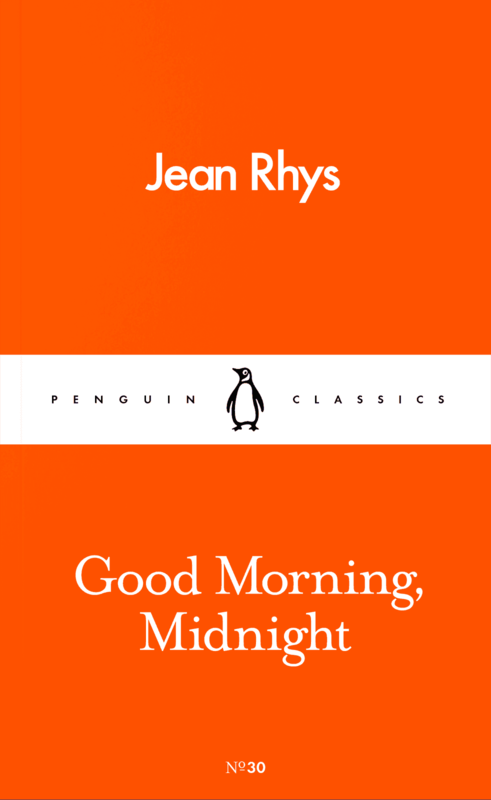 This entry was posted in Book Reviews, Jean Rhys Reading Week and tagged #ReadWomen, Classics Club, Fiction, Jean Rhys, Jean Rhys Reading Week, Penguin Books, Penguin Classics, UK on August 21, 2016 by JacquiWine. Journalist, photographer, album cover designer and party girl – these are just some of the roles Eve Babitz adopted during her early years in Los Angeles. She describes her first book, Eve’s Hollywood, as a confessional novel. Nevertheless, it reads like a memoir in the form of a series of sketches, snapshots of a bohemian lifestyle, a life lived in the cultural melting pot of LA with all its colour and splendour. Taken in its entirety, it’s quite a ride. First published in 1972 when Babitz was 29, Eve’s Hollywood consists of 45 vignettes and a scrapbook of photos. Some pieces are very brief (a sequence of three pitch-perfect lines on Cary Grant); others are more substantial (mini-essays on the allure of young ingénues, the trials and tribulations of adolescence and the author’s early lovers). In some ways, the following quote sets the tone for the book – it’s taken from the second snapshot, a piece entitled Hollywood and Vine. Eve Babitz grew up in the midst of a talented family. Her father, Sol Babitz, was a baroque musicologist and violinist with the film studio Twentieth Century Fox. Her mother, Mae, was an artist (a few of her drawings of LA appear in the book). Family friends included the composer Igor Stravinsky (Eve’s godfather), the opera singer Marilyn Horne, and the influential poet and essayist Kenneth Rexroth. Here’s one of Eve’s early recollections of Stravinsky. Babitz is particularly good on the beauty and power of teenage girls. In The Sheik, she highlights the 20 or so girls at Hollywood High who were extraordinarily beautiful, too beautiful for the constraints of the high school environment. The building itself was awash rumours of the girls’ love affairs, their tears and laughter echoed through the corridors. Even the teachers seemed powerless in the face of this overwhelming force of nature. Babitz develops this theme in Ingenues, Thunderbird Girls and the Neighbouring Belle: A Confusing Tragedy. In this piece we meet Sally, Eve’s best friend in Hollywood High, a beautiful, rich and tragic ingénue. For Eve, it was love at first sight. Naturally, several of Babitz’s vignettes capture something of the cultural milieu of Los Angeles. There are the drugs of course, but some of my favourite pieces focus on other aspects of LA life: the sight of a roller skater crossing Sunset Boulevard; the sheer joy of eating taquitos from a roadside stand on Olvera Street, the best taquito place in town; a beautiful mini-essay on the Watts Towers, a set of sculptural structures designed by Sam Rodia. There are many more. 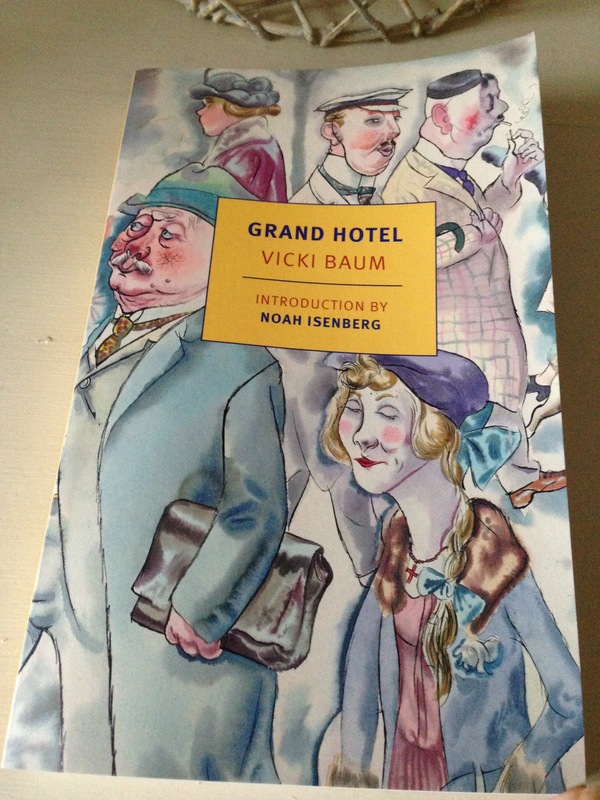 This is a book that sparkles with a lively sense of place and time. Perhaps most importantly, Babitz is keen to put paid to the notion of Los Angeles as a cultural wasteland. She pushes back against the outsiders’ view of LA, those people from the East Coast or abroad who look down on a city they consider to be rather ‘shallow, corrupt and ugly’. There are other cultural musings too. Babitz writes of her ultimate love for Lawrence of Arabia, a film she resisted seeing for a year as a result of all the hype and the shower of Academy Awards it attracted. In The Hollywood Branch Library, we hear of the writers Babitz loves and admires, writers such as Isak Dinesen, Virginia Woolf and Joyce Carol Oates. Here she is on Colette whom she discovered at the tender age of 9. Colette as a spiritual guide – isn’t that wonderful? If you haven’t guessed by now, I really loved this book. It’s a difficult one to describe, but I hope I’ve given you a flavour of it here. Babitz’s style is at once both easy going and whip-smart (she is eminently quotable). There is a breezy lightness of touch to her writing that feels so effortless and engaging. The same is true whether Babitz is writing about the deeply personal (the loss of her virginity at the age of 17, ‘it was the Rainier Ale that did it’) or the more surprising (a short piece on her dislike of photocopying is a delight). There are touches of humour threaded through this collection of vignettes too. In the end, it’s a book you have to experience for yourself. In some ways, I was reminded of Joan Didion’s Play It As It Lays and Lucia Berlin’s stories in A Manual for Cleaning Women (both of which I rate very highly). I feel as though I’ve found a new friend in Eve Babitz, one I’d like to return to again and again. Eve’s Hollywood is published by NYRB Classics; personal copy. This entry was posted in Babitz Eve, Book Reviews and tagged #ReadWomen, Book Review, California, Eve Babitz, Fiction, NYRB Classics, US on August 16, 2016 by JacquiWine. Last year I wrote about La Femme de Gilles (1937), an early novella by the Belgian writer Madeleine Bourdouxhe. It’s an intensely powerful story of desire, pain and selfless love, all conveyed in the author’s spare yet beautiful prose. 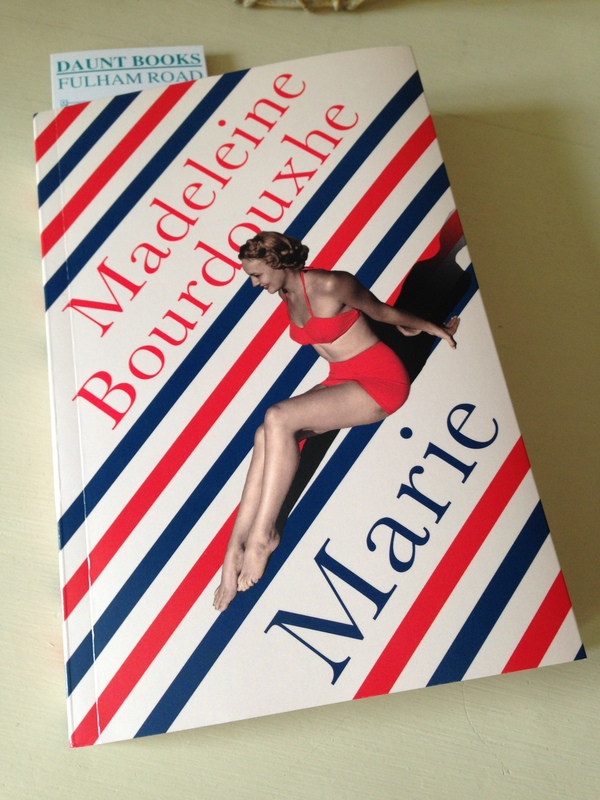 When Daunt Books announced they would be reissuing Marie (first published in 1943), Bourdouxhe’s follow-up to Gilles, I knew I wanted to read it. Luckily this book came along at just the right time for me; moreover, it turned out to be a great choice for Women in Translation month which is running throughout August. A day or so later Marie heads out for a walk on her own with the intention of finding the attractive stranger again; it’s not long before she spots him on the beach. Even though the man strikes up a conversation with Marie, words are barely needed; they have already formed a deep connection. As they prepare to part, the young man gives Marie his phone number back in Paris, the city which is also home to Jean and Marie. As she watches him go, Marie feels completely alone, stranded between two opposing worlds: the safety and security of her life with Jean vs the possibility of new and uncertain experiences ahead. Back in Paris, life continues as normal for Marie (at least at first) as she occupies her time with housework and the occasional session as a private tutor. Nevertheless, the young man from the beach remains in her thoughts. When Jean goes away on a business trip for a few days, Marie contacts the man. They meet up in a café, walk the streets of Paris for a while and take a room for the night. And she’d stay there until the blue light of dawn came through the window. Thrown back on herself, she’d feel quite alone at the heart of a well-worn past – even though she had created such fine things. Jean, Claudine: links that did not want to expire, that tightened their hold in a final struggle as others tried to replace them. As Marie reflects on the nature of her position, her mood varies quite significantly. There are instances when she seems lost and dissatisfied with her situation, most notably when a change in Jean’s job forces the couple to move away from Paris for a while. At other times, a brighter Marie emerges, one in tune with her own her solitude and desires in life. Like its predecessor, Marie is written in an emotive, intense and intimate style. 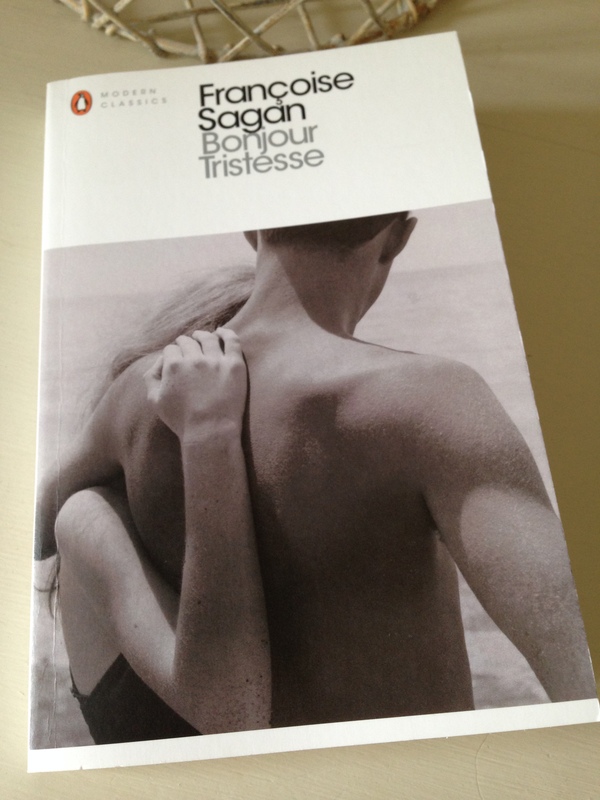 It is a more optimistic novella than La Femme de Gilles, more hopeful but every bit as compelling. In his review in The Guardian, Nicholas Lezard describes Marie as one of the most French novels he has ever read, and I can see what he means. To quote Lezard: ‘the book’s concerns are, to put it broadly, existentialist’. I really loved this novel; it’s in the running for one of my books of the year. This wonderful story of a young woman’s awakening is played out among the busy streets, cafés and train stations of Paris, a city beautifully evoked by Bourdouxhe’s prose. I’ll finish with a favourite quote, one that captures the rather dreamlike mood of certain passages in the narrative. Marie is published by Daunt Books; my thanks to the publishers for kindly providing a review copy. This entry was posted in Book Reviews, Bourdouxhe Madeleine, Women in Translation and tagged #ReadWomen, #TranslationThurs, #WITMonth, #WomeninTranslation, Classics Club, Daunt Books, Faith Evans, Fiction, Literature in Translation, Madeleine Bourdouxhe, Novella on August 9, 2016 by JacquiWine.